Connect with Lexus News & Events for new vehicle introductions, company announcements, safety information, event updates, and more. We invite you to find it all here. TORONTO, ON – JANUARY 11, 2019 –Visit the Lexus exhibit at the Montréal International Auto Show and experience an amazing new entrant in Canada’s hot compact luxury crossover segment: the 2019 Lexus UX 250h. The segment’s first self-charging hybrid makes its Canadian debut, offering Canadian luxury buyers everything they love about compact luxury crossovers plus incredible performance and fuel efficiency – at a price that makes it easy to embrace the advantages of Lexus hybrid technology. Arriving at Lexus Dealers mid-January, the UX is the small SUV that drives like a sedan, expresses brave styling and craftsmanship from every angle, and keeps Lexus guests connected to the people and things that matter to them. In addition to the UX, the Lexus exhibit will showcase a full range of luxury sedans, coupes and SUVs, plus opportunities to explore innovative Lexus technologies including the advanced safety technologies in Lexus Safety System + 2.0 and the powerful yet intuitive connected vehicle technologies and services of Lexus Enform. WHAT: Lexus UX 250h, Lexus Safety System+ 2.0, Lexus Enform, and more. WHERE: Montréal International Auto Show, Palais des congrès, Lexus Exhibit. WHEN: January 17, 2019 – 1:15 pm. WHO: Robert Tsang, Director of Lexus in Canada – plus spokespeople for French and English interviews. Team Lead, Public Relations, Toyota Canada Inc.
TORONTO, ON – JANUARY 11, 2019 – Lexus shocked the automotive world in Detroit two years ago with the debut of the LC coupe. It was a testament to the brand’s new sense of creative ambition, but it was only just the beginning. 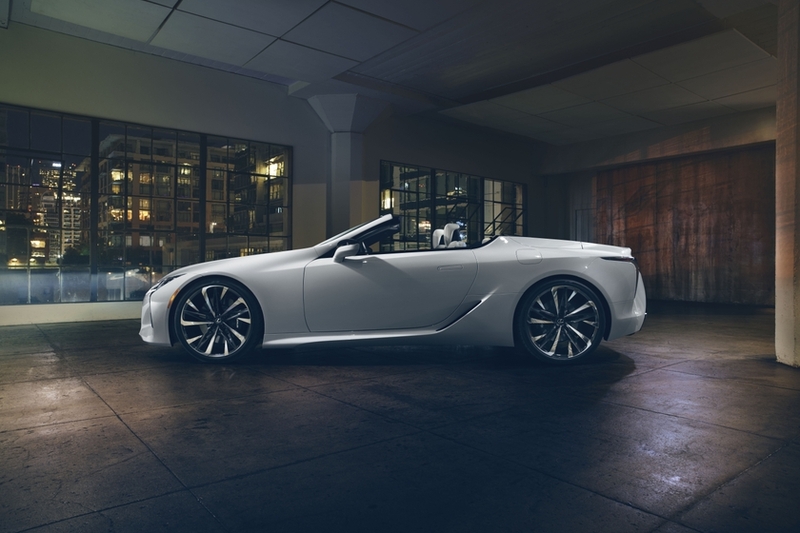 Since then, the Lexus design team has been exploring the brand’s evolution and the latest result of those explorations will make its debut at the 2019 North American International Auto Show with the world premiere of the Lexus LC Convertible Concept. An open-air roadster that is an artful reflection of the LC coupe, the design goal of the Convertible Concept was the expression of “ultimate beauty.” From the rake of the windshield to the smooth contours of the rear decklid that houses the convertible top, every line on the LC Convertible concept was drawn to evoke an emotional response. A stunning design from every angle, the LC Convertible concept stands as an aspirational halo vehicle for the entire Lexus lineup. No results found. Please adjust your selection criteria. Receive vehicle announcements, special offers and the latest Lexus news & updates for Lexus events. Visionary design. Inspired technology. Timeless craftsmanship. The art of Omotenashi. It is all on display at the 2019 Lexus Auto Show display. Join us at one of eight auto show events across Canada, and experience for yourself how Lexus is crafting a new concept of luxury and lifestyle - including daring concepts and exhilarating Self-Charging Hybrid Electrics like the striking new UXh F SPORT . In select locations, you can test drive the future for yourself and enjoy immersive displays. Follow along on Facebook and Instagram, or better still, join us live. This is one event you do not want to miss. Can’t attend an auto show in person? You can still enjoy front row access. Join the #LexusAutoShow community. Follow Lexus on Facebook, Instagram, and Twitter to watch videos of events - from press conferences to vehicle reveals. You can even tour our Brand Gallery, and see the UX and Design School Challenge displays. From inspired concepts to inspired next generation vehicles like the city smart UXh Self-Charging Hybrid Electric, Lexus is crafting a new concept of luxury, driven by daring design, imaginative technology, and peerless craftsmanship. See it all and more - including the Lexus Brand Gallery and interactive displays - at the 2019 Auto Show season. Prototype shown, production model may vary. The 5th annual Lexus Design School Challenge saw up-and-coming designers - from design schools across Canada - give flight to their visionary abilities while creating an exclusive art installation for the Lexus Auto Show Booth. 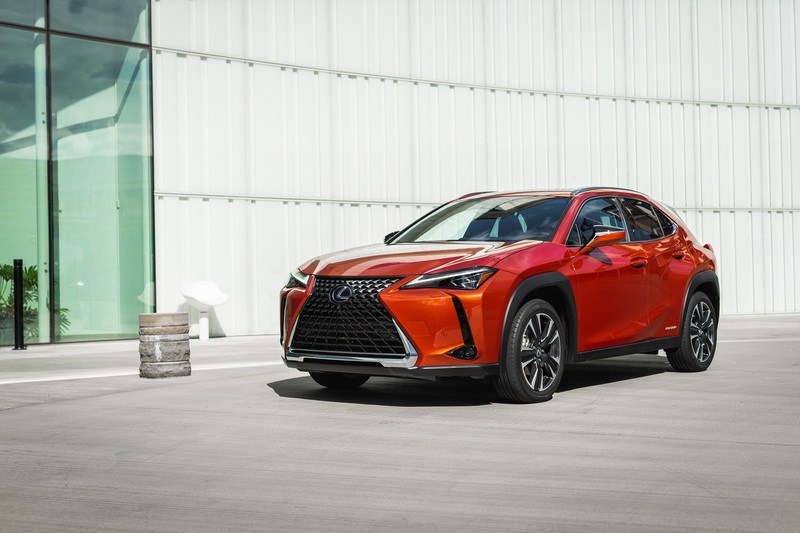 This year’s inspiration was the 2019 Lexus UX. A full-size display of the winning entry will be showcased at the Vancouver Auto Show. Stay tuned for details on the 2020 Challenge. “nothing is crafted like a Lexus”. The Lexus booth at the 2016 Canadian International Auto Show was the very definition of “amazing”. Even with so much to look at, including the entire Lexus lineup, one vehicle was the unquestioned centre of attention – the Canadian auto show debut of the Lexus LF-C2 Concept. A luxury 2+2 sports coupe, the LF-C2 wholly embodies the spirit and soul of Lexus’ design and performance focus with its beautifully crafted lines, sensuous curves, and remarkably hi-tech yet enveloping interior. A close second in popularity was Lexus’ virtual reality simulator that let visitors race a Lexus over a realistic 3-D interpretation of the famed Fuji International Speedway – birthplace of the Lexus F series of high performance luxury automobiles. The Lexus booth at the Montreal International Auto Show was the very definition of "Amazing", and the perfect start to this year's Canadian auto show circuit. 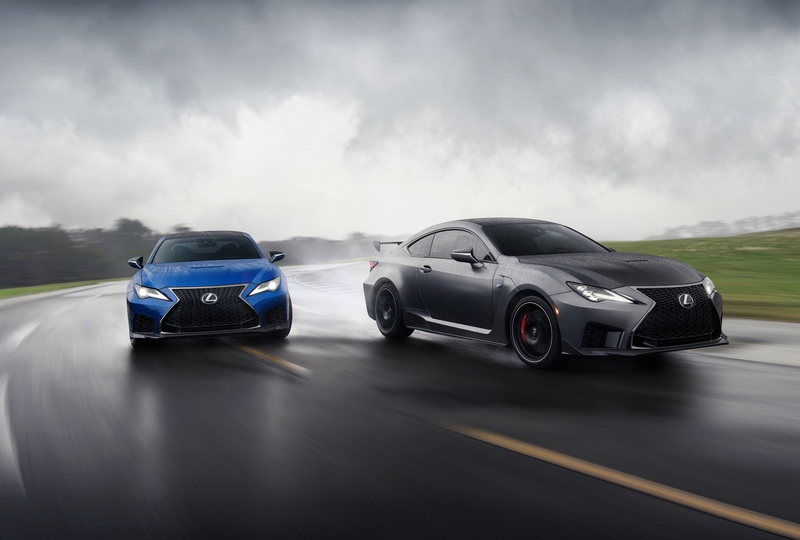 The entire Lexus portfolio was on stunning display, including the Canadian debut of the all-new 2016 Lexus GS F with its inspired combination of race-bred performance and luxury sedan refinement. Visitors had the opportunity to experience the dramatic upgrades to a range of 2016 models, including the peerless LX 570 flagship SUV, and a CT 200h Special Edition with its dynamic F SPORT enhancements. The winning design from the 2016 Lexus Canadian Design School Challenge was also on hand — an installation for the all-new 2016 Lexus RX 350, that will continue to showcase this breath-taking new vehicle at auto shows across the country. Lexus chose the Vancouver International Auto Show for the North American debut of its luxury ultra-subcompact 2+2 — the LF-SA concept vehicle. Designed with a vision of the cities of tomorrow, the LF-SA blends provocative design with exceptional maneuverability; and is a wondrous showcase of futuristic technology, including a hologram-style digital display. Other highlights at the Lexus booth included the race-bred RC F coupe and track proven GS F 4-door luxury sedan. Visitors also had the opportunity to experience the advanced luxury of Lexus hybrid motoring, with a ride-and-drive event; or, step inside a virtual reality simulator and race a Lexus over a realistic 3D interpretation of the Fuji Speedway — the "home track" for the Lexus F series of high performance luxury automobiles. Alberta’s premier automotive and truck event hosted the Canadian debut of the striking Lexus LC 500. Inspired by the acclaimed LF-LC concept, this flagship coupe marks the beginning of a new way of conceiving vehicles with tight cooperation between design and engineering. Featuring Lexus’ all-new rear-wheel-drive luxury platform (GA-L), the LC 500 also marks a new phase in Lexus’ performance aspirations. Visitors also explored the full-range of the Lexus’ line-up, with each vehicle featuring its own unique upgrades for 2016. Also on hand was Lexus’ virtual reality simulator, featuring a 3D interpretation of the Fuji Speedway – birthplace of the Lexus “F” series — for a virtual experience of the meaning of high performance luxury. A premier industry event, the 2019 Montreal International Auto Show will take place at the Palais des congrès de Montréal, located in the north end of Old Montreal in the borough of Ville-Marie. The largest auto show in Canada, the 2019 Canadian International Auto Show will take place at the Metro Toronto Convention Centre in the heart of downtown Toronto. The 2019 Québec City International Auto Show will take place at the Centre de foires de Québec, Québec City’s largest exhibition area located on the ExpoCité site in the Cité-Limoilou borough. The 2019 Vancouver International Auto Show will take place in the grand West exhibition space of the Vancouver Convention Centre, located along the waterfront directly adjacent to Canada Place. The 2019 Ottawa Gatineau International Auto Show will take place at the Shaw Centre (formerly the Ottawa Convention Centre), located in the core of downtown Ottawa overlooking the Rideau Canal. The 2019 Edmonton Motorshow, Alberta's best automotive and truck show, will take place at the Edmonton EXPO Centre adjacent to Rexall Place, previously known as the Northlands AgriCom. The 2019 Calgary International Auto and Truck Show will take place at the world-famous BMO Stampede Park, located in the Beltline District southeast of downtown Calgary.